The four species that are brought together on Sukkot, as described in Leviticus, 23:40. 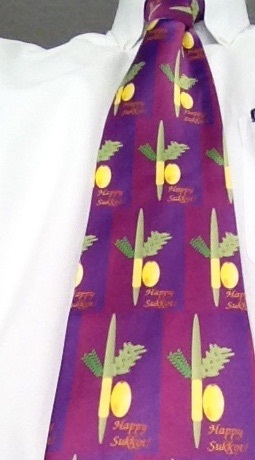 In time for Sukkot, here is the newest tie in the #TieBlog collection. Two central commandments from the Torah related to this harvest festival are dwelling in the Sukkah (booth) for 7 days. The other is to gather four species of plants and wave them (based on Leviticus 23:40).